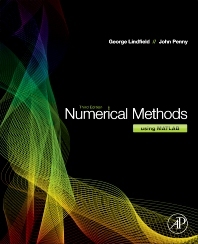 Numerical Methods using MATLAB, 3e, is an extensive reference offering hundreds of useful and important numerical algorithms that can be implemented into MATLAB for a graphical interpretation to help researchers analyze a particular outcome. Many worked examples are given together with exercises and solutions to illustrate how numerical methods can be used to study problems that have applications in the biosciences, chaos, optimization, engineering and science across the board. George Lindfield is a former lecturer in Mathematics and Computing at the School of Engineering and Applied Science, Aston University in the United Kingdom. John Penny is an Emeritus Professor of Mechanical Engineering at the School of Engineering and Applied Science, Aston University in the United Kingdom.